Bowel and bladder incontinence is common after stroke and is often indicative of the severity of stroke. Incontinence is the inability to control urinary and bowel function and often impacts where a patient will be discharged when leaving the acute hospital. Stroke patients with incontinence are less likely to be discharged to home and are more likely to be discharged to another facility for continued care. Studies show that stroke survivors that are continent the first few days after stroke have a much lower mortality rate in comparison to those who experience bowel and bladder incontinence. Incontinence negatively affects stroke patients and often increases the burden on caregivers. Control of bowel and bladder improves for the majority of stroke survivors with time but some will remain incontinent. Incontinence may be due to stroke in part of the brain affecting bowel and bladder function or it may be a side effect that is due to other factors such as physical disability (patient is unable to physically get to the bathroom), aphasia and cognitive problems (stroke patient may be unable to communicate that he or she needs to use the bathroom), or ataxia. Stroke may worsen incontinence for stroke patients who were already experiencing bladder or bowel dysfunction prior to stroke. This may be especially true for elderly stroke victims since there is a higher incidence of urinary dysfunction in the elderly population. Drugs given post stroke can also be a factor in incontinence. 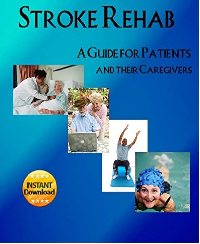 Initially, the stroke victim who is incontinent may receive an indwelling catheter (a small flexible tube is inserted in the urinary tract and urine is collected in a bag). Treatments after the catheter is removed may include a toileting schedule, medication, bladder retraining, behavioral therapy, use of adaptive equipment, improving physical mobility, and improving speech and cognition. If mobility is an issue, invest in adaptive clothing which allows for clothing to be changed from a seated position. 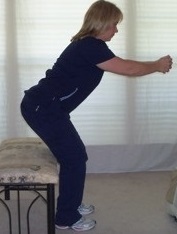 Practice Kegel exercises which strengthen the pelvic floor. Notify your caregiver of the need to urinate or move your bowels as soon as it comes on - waiting can lead to accidents. For more info on incontinence, visit the National Association for Incontinence website at www.nafc.org.